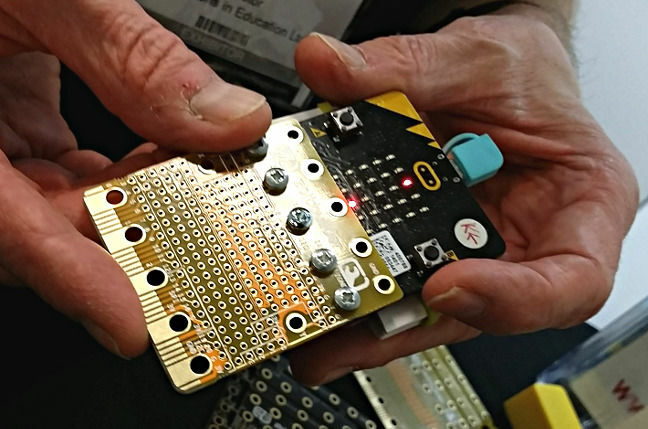 Pics A one-time storage hardware designer has launched a range of add-on boards for the BBC Micro:bit. Nevil Hunt – formerly a hardware designer for enterprise storage stuff firm Nexsan – was exhibiting his wares at the IoT Tech Expo, which took place in London’s Olympia conference centre earlier this week. 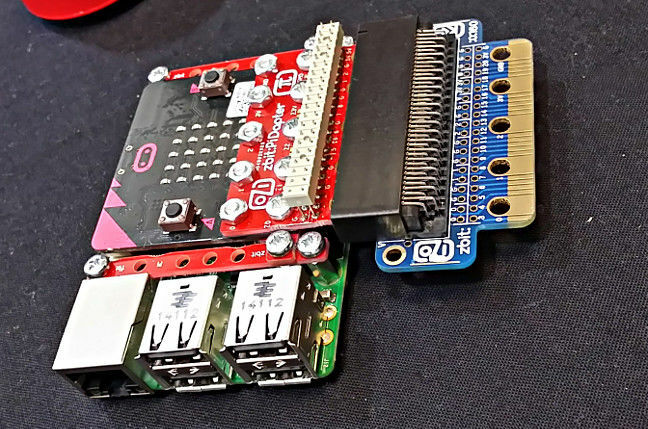 Hunt’s zbit:connect range slots into a standard off-the-BBC’s-shelves Micro:bit, as the photos below show. The idea is to allow expansion of the Micro:bit in the X, Y and Z axes. "It's like giving children Lego blocks. This is how they bolt together, off you go,” said Hunt. The zbit:connect range includes, and is not limited to, the vibrating zbit:shaker*, a proximity sensor, a light sensor, and various wireless connectivity options. Crafty use of the attached options allows the creation of a passable mobile phone concept demonstrator, complete with speaker, vibrate function and display, of which there's a picture here. “I’ve designed my own custom elastometric connector,“ said Hunt. 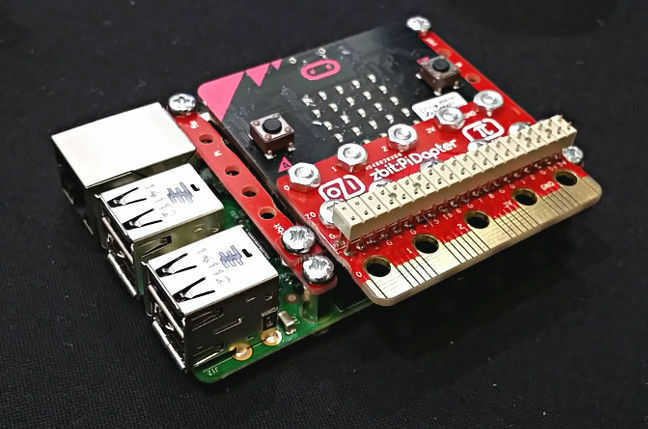 This allows the zbit device to talk to its associated Micro:bit. * As in “small electric motor rotating an asymmetric weight to make your phone vibrate”, not “intimate massager”, you dirty-minded people.